Today might be a day that changes the face of New York City Basketball. The Nets, who are preparing for their first season in Brooklyn made a huge splash on the trade front yesterday. They dealt Jordan Farmar, Johan Petro, Anthony Morrow, Jordan Williams and DeShawn Stevenson and a 2013 first round pick for Atlanta Hawks All-Star guard Joe Johnson. The Nets were horrific last year and there was no way that they could enter this season in Brooklyn with the same roster. Their hope was trading for Johnson would convince point guard Deron Williams that they are serious about competing. 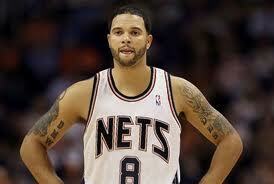 What the Nets are rumored to be doing today would absolutely hammer that point home to D-Will. Howard the Nets do the Dwight things needed to land this guy? 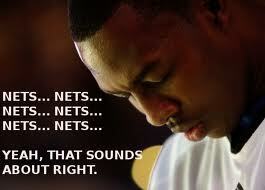 After yesterday, it was assumed that the Nets would no longer have the pieces necessary to deal for Dwight Howard. Howard has let the world know that the only place he wants to play is in Brooklyn and said that he would refuse to sign with any other team. Basically, Howard has tied the Magic’s front office’s hands behind their backs, warning any other team that they will only be renting him for a year and maybe they should think twice about mortgaging their futures. Therefore, the only team that it would be worth trading their young talent for Dwight is Brooklyn. After the Johnson trade, it didn’t appear that there was any young talent left to moved. 2 for 1? Quite a deal if they can pull it off. However, when you woke up this morning ESPN’s Chris Broussard had reported that the Nets are in discussions with Orlando to potentially land the premier big man. The Nets are reportedly offering Brook Lopez, Kris Humphries, MarShon Brooks and their first round picks for 2013, 2015 and 2017. If the trade goes through, the Nets would have traded away their entire roster in a matter of two days, leaving only Gerald Wallace, Joe Johnson, Dwight Howard and hopefully Deron Williams to build their team around. However, if you look at the blue print the Miami Heat laid out for the NBA world to see, it is clear that this would have a great chance of working. No matter who the Nets filled the roster in with, they would certainly be a playoff team and an automatic contender for the next few years. Deron the right track if they can get Williams with Howard Johnson. Raise the orange roof! Why would this scenario work great for Brooklyn? First of all, there would be energy and life in the Barclays Center each and every night to welcome the Nets to Brooklyn. If you watched the NBA playoffs and saw the difference the OKC crowd made in lifting the Thunder at home, the same could be expected from a Brooklyn fan base that has wanted a pro sports team since the Dodgers left town. This Brooklyn squad would have the opportunity to write the Nets history books in the biggest media market in the world. The Nets would be bringing in the best center in the game, one of the top 3 point guards and maybe the best #3 option in Johnson in all of basketball, though Chris Bosh or James Harden might think differently. Deron Williams has been linked to both Dallas and Brooklyn as landing spots, but Brooklyn makes much more sense, assuming Howard and Johnson are both Nets. Although the NBA Champion Miami Heat play in the East, the Nets with these three stars would catapult into a contender immediately. If these guys team up in the West, there would be more teams for them to compete against, as they will battle the Thunder, Spurs, Lakers, Clippers and Mavericks who are always contenders.The Boston Celtics are aging, the Chicago Bulls are often injured and the New York Knicks have plenty of their own issues (Amare Stoudemire). 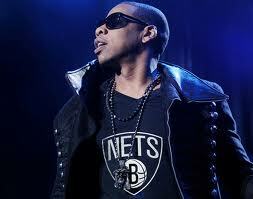 It is possible that the Nets would win the Atlantic Division as soon as next year. Having a top line center, point guard and wing player would be a different “big three” model than we have seen recently and I think it would be dominant. If then else when but maybe could possibly might. Nets will definitely be playing in the big leagues this year, but will they be playing big? As a Nets fan, my expectations heading into next season were low. The Nets, even with Deron Williams last season were as previously mentioned abysmal. How much of that had to do with them leaving New Jersey and a lack of fan support, or how much of that was due to lack of talent and injuries? Well it appears we’ll never know because Brooklyn’s version of the Nets will most likely look extremely different. 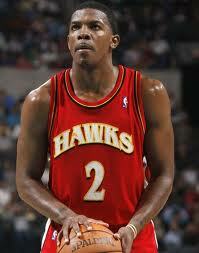 If the Nets get Dwight Howard then they will be instant contender. If the Nets fail to land Howard but field a team of D-Will, Joe Johnson, Gerald Wallace, Brook Lopez, MarShon Brooks and Kris Humphries, they should also be entertaining and I would expect a playoff appearance. If they fail to trade for Dwight, sign Williams and are left with a roster of Johnson and who they had last year, it might be a long couple years. But today is all about optimism and I am totally expecting the next big three to be playing in Brooklyn for the next 5 or 6 years! Better get your tickets now before it all becomes official and you can still afford to go and watch the newest hot ticket in town. This entry was posted on July 3, 2012 by NY Bobby. 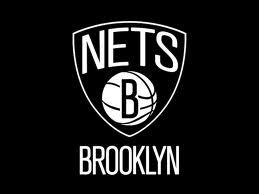 It was filed under Basketball, Brooklyn Nets and was tagged with Brooklyn Nets, Deron Williams, Dwight Howard Trade to Nets, Jay-Z Owns Nets, Joe Johnson, Nets B, Nets Big Three. What a shame; all of that potential and now that SD has officially endorsed the Nets as a future contender, Brooklyn will probably fall into the Hudson. Bobby – root for Miami, okay? I rooted for Miami in the Finals and that worked out pretty well! Also my two Wimbledon picks are both still alive so I am single handedly overcoming the Sports Debater jinx…LETS GO NETS!